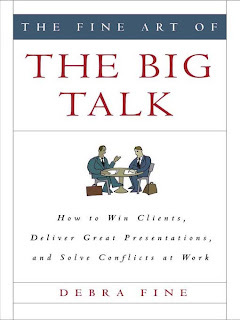 After reading The Fine Art Of Small Talk, I decided to try Debra Fine's follow-up book The Fine Art Of The Big Talk. Big talk is significant, meaningful talk. Sometimes it's a difficult conversation, often it's an in-depth exploration of some subject. Big talk also open opportunities to ask for something, to sell something, to motivate someone, or to teach someone. Big talk is important. The idea behind this book is to help "increase your language awareness." This, in turn, helps you hone your conversation skills to become more influential, better at managing conflict, and making more satisfying connections. Like her first book, this one is full of practical advice. Here's one of my favorites: When leading a meeting set an agenda. For each item, clearly state what the objective of the topic is and, if possible, what the decision being made is. This will help to focus meetings and run more smoothly. I've already starting doing this in my meetings and I've noticed a difference. I also think this frame of thinking is appropriate for creating written reports. What's the object of each slide or paragraph? What decision is it helping drive? I've found being explicit really helps. In my meeting invites I write out: "Topic: blah. Objective: blah. Decision: blah?" There are all sorts of goodies like that throughout the book. I'm now in the process of reviewing each chapter. When I'm done, I hope to have a cheat sheet that I can refer to when I know a big talk is coming up. 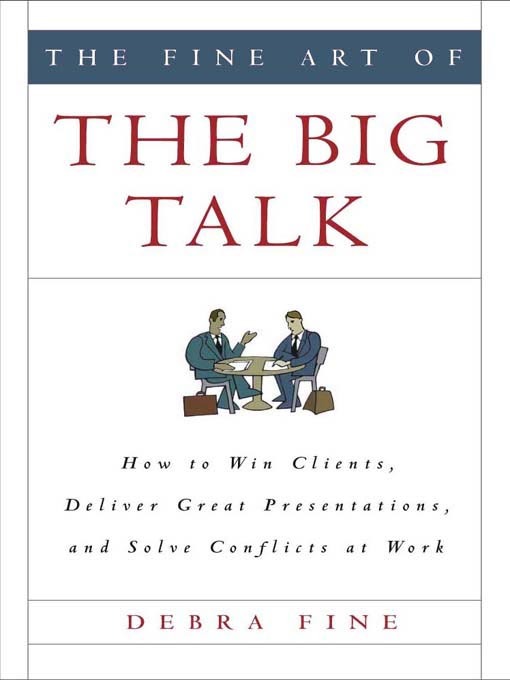 The best way to read this book is AFTER you've read the Small Talk book. I found it helpful because it got the ball rolling on conversations. If you only had time for one book, I would actually recommend the Small Talk book. However, if you're looking to improve your overall conversation skills, then I recommend checking this out after the Small Talk book. Both books are short enough that, even though there isn't an audiobook version, they're easy to get through. "He Should Of Had It"